With cyber security stocks growing red hot, FireEye Inc. (NASDAQ: FEYE) is emerging as the leading Cyber Security stock. While the public is growing aware of the great potential that the cyber security sector holds for outperformance above and beyond the stock market indexes, a consensus is growing among Wall Street analysts that FireEye is the leading company in this hot sector. Often, the leading company in a hot sector is the one that has the greatest stock price gains over time, such as computer sector leader Apple Inc (NASDAQ: AAPL) and social networking leader Facebook (NYSE: FB). It is well worth the effort to develop an understanding regarding what FireEye does and where the company is heading. FireEye is in the business of developing and providing computer network protection products and services that protect computer networks and databases from hacking attacks, intrusions, and malware. 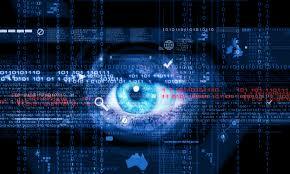 The company’s cyber security products detect, prevent, and resolve cyber attacks. FireEye’s advanced and comprehensive computer security products are what make it the leading Cyber Security stock. The company provides a broad array of products that network security teams can use to detect and fight off a cyber attack. Some of the most useful and popular products FireEye offers are security management products that include a Central Management System that reports on cross-enterprise threat information to identify and block cyber attacks on a network and a Threat Analytics Platform, which enables computer security teams to identify and respond to cyber attacks by analyzing real-time information about network security and impacts from hackers. The company also provides a product called the Forensic Analysis System that allows computer security teams to inspect malware attached or embedded in files, emails and other programs running on a network. This product is not only useful in preventing cyber attacks, but it also helps diminish or repel a cyber attack that is in progress by denying access to a computer network from files used by hackers. Once an attack has been successfully repelled, FireEye’s Network Forensics Platform can be used by cyber security experts to identify the source of the cyber attack, so that measures can be taken to prevent another attack from the same source. The company’s clients include both public and private entities. While there are many cyber security companies in the cyber security space, FireEye is emerging as the go to company when governments and businesses are ready to take computer security seriously and take steps to protect their computer networks and databases from hackers. FireEye recently cemented its lead in the cyber security space with an announcement that the company is partnering with the world-renowned credit card company Visa (NYSE:V) to implement tools and provide services to prevent against attacks on Visa’s consumer payment data from its tens of millions of world-wide customers. It is high profile deals like the one with Visa that is causing FireEye to pull ahead of the pack of cyber security firms. Wall Street likes FireEye because the company has experienced explosive growth, with no sign that the growth will slow down any time soon. The company has gone from revenue of $83 million during 2012 to revenue that topped $425 million during 2014, which is an over 400% gain in just two years. It is not easy to find a technology company that is growing that quickly and has excellent growth prospects going forward. Every bad headline about a new cyber security breach is good news for companies such as FireEye. The stock has gone from the $30 per share range to the $50 per share range over the past two years, a more than 60% gain. While that sort of gain is impressive, it is not overwhelming. FEYE is not trading at nose-bleed levels. Given the company’s high growth rate and the interest in the cyber security sector, it could reasonably be expected to rally much higher. While the company has yet to turn a profit, is has the revenue growth rate and the potential for future profits that makes Wall Street analysts excited. The fact that FireEye is in such a hot sector with such a high growth rate also makes the company a prime buyout target for large established technology companies looking to buy into the next wave of fast technology growth. Recently, networking giant Cisco Systems (NASDAQ: CSCO) has been rumored to be a potential suitor for FireEye. But Cisco is certainly not the only potential suitor for this company that is the leading cyber security stock. What will happen when Greece leaves the Euro? That is a question that is on many traders and investors’ minds, as a Greek Exit from the Eurozone economic bloc and Euro currency seems to be growing more likely with each passing day. What once seemed like a remote possibility, seems more and more likely as the European Union creditors and the leftist Greek government have made little progress on coming to terms regarding an agreement that will release additional funds to Greece. Beyond the political rhetoric and posturing, there are a number of real indications that a Grexit from the Eurozone and Euro currency may happen before the spring of 2015 is over. Since it is growing more likely, traders and investors need to consider what will happen when Greece leaves the Euro. What happens internally within Greece and what happens in other countries will be totally different. Internally, leaving the Euro is going to be hard medicine for Greek citizens to swallow in the short run, but in the long run it may be just what the doctor ordered to get their economy growing again. In the short run, Greeks can expect economic chaos and massive losses in their savings accounts, as the country reverts back to their own currency, perhaps the historic Greek currency known as the drachma. In the long run, things likely will not be so bad. With control over their own currency, the Greek economy will have a currency with a realistic valuation. This will eventually lead to a return to economic growth, as foreigners see good value in Greek goods. The tourism industry in particular should see a nice uptick, as foreigners will be able to get good value when they travel to Greece. What will happen in other countries both inside and outside of Europe is unknown. What is known is that the exposure that European governments and banks have to Greek debt is not as bad as it was in 2012, when Greece came close to defaulting and underwent a debt restructuring. The European Union has been kicking the Greek debt can down the road for three years for good reason. Their delay in dealing with the Greek debt situation has allowed them to reconfigure things, so that a Greek debt default will not have as large an impact as it would have had if it had occurred several years ago without preparations. However, nobody knows for certain whether the European Union has done enough to wall-off financial institutions in Europe from a Greek debt default. Therefore, there may be some unpleasant surprises should Greece wind up defaulting and leaving the Eurozone in the near future. The worst-case scenario is that a bank run develops in other weak European economies, which causes economic chaos in those countries and slows down already tepid economic growth in the European Union. That does not seem likely though because of the moves made by European financial authorities. Since 2012, the European Central Bank has set up financial institutions and mechanisms to aid member states that find their banking systems in trouble. This backstop has helped weaker Eurozone countries to shore up their banking systems and provide a level of confidence in their banking systems that should be enough to prevent runs on their banks. The real concern of European Union members is not so much losing the tiny economy of Greece, but the potential implication that a Grexit night have on other countries that are in the Eurozone. The European Union was set up in a manner in which member countries were not supposed to leave. By setting a precedent with a Grexit, other weak member countries may be more inclined to leave the Eurozone, especially if populist parties are elected within those countries. This is the primary reason why European Union leaders have tried so hard to keep Greece in the Eurozone. 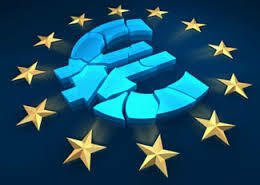 There is the potential that a Grexit could eventually lead to the unraveling of the European Union. What is the best way to trade a Greek exit from the Euro? The answer depends upon your trading outlook. Short term traders can make money off any volatility that follows a Grexit. Swing traders that trade in the medium term, can position themselves for likely market swings that may prove to be profitable trading opportunities. For those with a longer outlook, such as investors, a Grexit may provide an excellent opportunity to establish or add to positions in European equities. Short Term Traders – Consider buying volatility Exchange Traded Funds (ETFs) that increase in price when stock market volatility picks up. While any volatility associated with a Grexit may be short-lived, it will likely be sharp enough to cause a tradable price increase in volatility Exchange Traded Funds (ETFs), such as ProShares Trust VIX Short-Term (Symbol: VIXY) and Velocity Shares Daily 2x VIX Short Term (Symbol: TVIX). 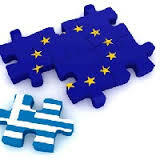 Medium Term Swing Traders – Consider shorting European bank stocks that have Greek debt exposure. Also consider shorting European and emerging markets Exchange Traded Funds (ETFs). A Grexit will likely cause these securities to decrease in value. Once the situation stabilizes after a Grexit, these same securities could provide good rebound opportunities on the long side. 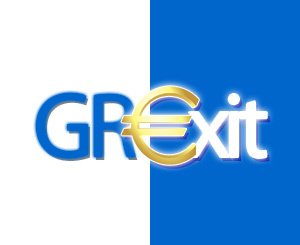 Investors – Investors should not view a Grexit as a trading opportunity. Rather, they should consider a Grexit as an opportunity to put money to work in the stock market. A Grexit will likely cause European stocks and related funds to drop in value. This drop may provide a good opportunity to invest in Europe for the long haul. One relatively simple way of making money in the stock market is by profiting from stocks with Relative Strength Index (RSI) readings that indicate when to buy and sell stocks. Some traders primarily use the Relative Strength Index to find stocks that they believe will continue to go up and represent good short to medium term buying opportunities. They also use the Relative Strength Index to determine when stocks have become overbought and should be sold. It may seem counterintuitive to any stock trader that likes to delve into every indictor and metric concerning a stock that they want to buy; however, just buying and selling stocks based on their Relative Strength Index readings has proven to be simple, yet profitable, stock trading strategy for many astute traders. This is why learning how the Relative Strength Index provides buy and sell signals for stocks is worthwhile for any stock trader that wants to be successful and make money. The Relative Strength Index a technical momentum indicator that provides an indication regarding whether a stock is at a point where it is at a good level to buy or sell, based on a stock’s trading pattern and momentum. It also indicates whether momentum should continue to carry a stock to a higher level when a stock is making a move higher. In other words, it can be used to gauge when and how long to hold onto a stock that is an uptrend, since it provides guidance regarding the strength of the uptrend and a warning when the uptrend may be reaching a peak. If you would like to understand the how the Relative Strength Index of a stock is calculated, here is a technical explanation. Relative Strength Index is a technical momentum indicator that takes into consideration the magnitude of recent gains versus recent losses in a stock’s daily trading activity to provide the Relative Strength Index number. This number can be used to assess whether a stock is oversold and is at a price level that presents a good buying opportunity or is overbought and is at a price level at which taking profits may be the best course of action. The Relative Strength Index for a stock is calculated using the following formula: RSI = 100 – 100/(1 + RS). RS stands for Relative Strength and is the average of the number of days a stock closes up, divided by the average number of days a stock closes down. The Relative Strength Index is essentially a momentum indicator that tells a trader if a stock has reached a level where momentum indicates an up or down move is imminent. Some traders use volume to confirm the findings of the Relative Strength Index, since bottoms and tops in stocks are often accompanied by increased trading volume, as traders get into or out of stocks at perceived bottoms and tops. Traders also use other indicators in conjunction with the Relative Strength Index, such as 50 and 200 day moving averages to help them confirm buy and sell levels for stocks. However, it is possible to just use Relative Strength Index on its own, since it is such a solid, albeit not foolproof, indicator of bottoms and tops for stocks. Studies have shown that approximately 80% of stocks that have upward momentum one year will continue with the upward momentum into the next year. The Relative Strength Index is an excellent tool to trade into and out of these stocks that are in a long-term uptrend. 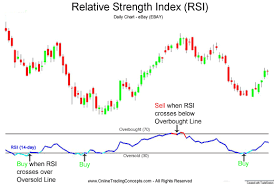 How Does The Relative Strength Index (RSI) Work? The beauty of the Relative Strength Index is that it is not complicated at all. 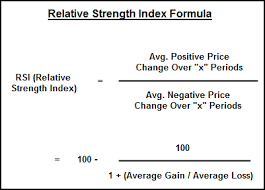 There are four components to the Relative Strength Index. If a stock is below the 30 Relative Strength Index level and has leveled off, it is sending a buy signal. When a stock trends higher to the 50 Relative Strength Index level, a strong buy signal is triggered. When a stock has a Relative Strength Index reading between 50 and 70, the stock is in a strong upside rally. When a stock crosses the Relative Strength Index level of 70 and trades above 70, the stock is more often than not reach an overbought condition and should be sold ahead of a pending pullback. That is it! Simple right? You buy a stock when the Relative Strength Index is below 30, hold it when it is between 30 and 70 and sell it when it gets above 70. Some traders use wider buy and sell bands to provide a buffer to confirm that a bottom or top is actually in, based on the Relative Strength Index reading. For example, more conservative traders may buy when the Relative Strength Index hits 25 for a stock and sell when it hits 75. The Relative Strength Index seems to work best when a stock has gone through a relatively mundane trading period with normal to below normal volume. When it indicates a buy below a 30 Relative Strength Index reading, or a sell above 70 Relative Strength Index reading that coincide with a pick-up in volume, it is a strong indication that an actual bottom or top is in. At this point, the Relative Strength Index can be used to execute a trade. Use the Relative Strength Index with caution when a stock has a steep sell-off or a big spike in price, as the indications provided by the Relative Strength Index may be skewed under conditions in which a stock is experience dramatic price swings. Does Stock Market Timing Software Work? Answer The Question: Does Stock Market Timing Software Work? Does stock market timing software work? That is a question on many stock market traders’ and investors’ minds, as they seek stock market timing strategies that work, so they can gain a critical edge in the stock market. While stock market timing has been the holy-grail of stock trading and investing for centuries and many have put in countless hours trying to come up with systems that effectively time the stock market, the results have often been uneven or unremarkable. The computer age may have finally increased the viability of timing the stock market. There is stock market timing software that is now available. But, does it work as an effective stock market timing tool that can be used beat the stock market averages on a consistent basis? There are companies, such as Investment Timing Software, Market Inflection Point Signals, Market Detective Indicator, and Market Trend Signal, that claim to have come up with stock market timing software that is accurate enough to increase the chances of timing the stock market to a level at which real money can be made by buying and selling stocks at key market inflection points. The question is does stock market timing software actually work? The answer appears to be yes, savvy investment professionals have developed market timing software that works. Of course, it does not work 100% of the time and is not fail-proof. 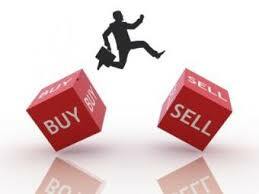 However, that is not what a trader or investor needs to make money timing the stock market. They need stock market timing software that is reliable and consistent enough to make money well over 50% of the time, or at least able to get one in and out of the market at critical levels. Ultimately, the effectiveness of stock market timing software depends upon how well a user understands how to use the timing software and their level of discipline regarding following through on what the software is indicating as far as buying and selling stocks. It also depends upon whether the user is using the software correctly, as some stock market timing software requires users to trade in increments, so as not to commit too much money to the stock market at any given time. Here is how stock market timing software works in a nutshell. The various types of software that stock market timing firms use and sell as a service to the trading and investment community analyze various stock market indicators and trends. The software then makes recommendations based on its analysis regarding the state of the stock market regarding when to buy stocks and when to sell stocks. Some stock market timing software is designed to focus on finding buy and sell points for individual stocks, so the software can be used to time either individual stocks or the entire stock market. Due to the inherent uncertainty of the stock market direction, even with the guidance provided by the indicators that they follow, the recommendations sometimes include buying or selling only a portion of a stock portfolio. For example, if you start with $100,000 in a brokerage account that is dedicated to timing the stock market, the timing software may advise that you commit ten to twenty-five percent of your portfolio to buying stocks, as the stock market indicators indicate a near-term bottom for the stock market is imminent. Then, if the stock market sell-offs off some more unexpectedly, the software will wait until the next buy signal is triggered to make a new recommendation to buy another portion of stocks. Eventually, a trader will be averaged into stocks at key support levels. When the stock market bounces, as it historically does based on a statistical analysis, then the trader or investor will profit from the stock market rebounds. As the stock market recovers, the stock market timing software will continue to analyze stock market indicators regarding near-term stock market tops and make sell recommendations on an incremental basis, as levels are reached that trigger sell signals. It may eventually recommended selling all stocks and going all cash, as it waits for a new buy signal to emerge. You can see why trading discipline is so important on the part of users of stock market timing software. Not going along with the software’s recommendations can completely change trading results, and could result in losses being incurred, when gains could be made by well-disciplined and patient traders and investors. If a trader is impatient and commits all their money to stocks on the first buy recommendation, they may find themselves in at levels too high to ultimately make money in the short to medium term that the stock market timing software covers. However, if they are disciplined and buy in the proportions that the timing software recommends, more often than not, they will come out with winning trades. That is the idea behind using stock market timing software to successfully time the stock market more often than not. These stock market timing tools operate on the old, yet very true, stock market principle that bulls make money, bears make money, but pigs get slaughtered. 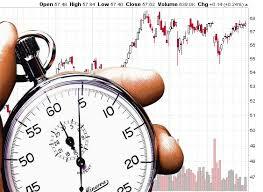 The gains to be had using stock market timing software are relatively small over short to medium periods of time and require patience to let the stock market gyrations play out. However, if traded correctly, patience will be rewarded with consistent stock market gains that in the long run add up to significant gains that beat the simple strategy of buying and holding stocks. Needless to say, using stock market timing software is not suitable for all traders and investors. Buy and hold investing is the best strategy for anyone that does not have the time to use stock market timing software on a consistence basis and follow through on its buy and sell recommendations. Posted in Stock TipsComments Off on Does Stock Market Timing Software Work? Why Buy Auto Stocks Now? The auto rebound has kicked into high gear, and it is time for investors to take a serious look at stocks associated within the automobile industry. There is always a bull market somewhere, and right now the bull market appears to be in automobile stocks and related automobile parts stocks. There are no signs that the strong performance in the automobile stock sector is going to let up any time soon. This is because the Great Recession of 2008 / 2009 set automobile sales back so much and caused so many people to hold onto their cars for so long, that there is unprecedented pent up demand for automobiles and automobile parts. Growth in the developing world and an improving jobs picture in the Unites States are primarily responsible for the strong rebound by consumers’ for automobiles and automobile parts. In 2015, the average automobile on the road in the United States is eleven years old. This is by far the oldest the automobile fleet that has ever been plying the streets and highways of the United States. With the economy improving, more people working, and automobiles aging, the perfect storm has developed for a surge in new car sales. It has also sparked high demand for automobile parts by automobile owners trying to keep their aging automobiles running as long as possible before they buy a new car. Eventually, older cars can no longer be fixed and have to be replaced. 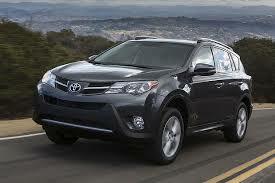 This has been driving huge new automobile sales during recent years. After bottoming at just over ten million new sales per year during the depth of the Great Recession in 2009, new automobile sales have skyrocketed to over sixteen million sales annually in 2015, an increase of over 60% from the 2009 lows. The sales pace during 2015 might be helped further by the drop in gasoline prices, as consumers trade in the cars they have been driving for years for a new set of wheels that is now within their reach, since the gasoline they need to run them has come down in price. If you are looking to cash in on the auto rebound that is ongoing and is likely to continue for several more years, consider these mainstays of the automobile sector. They are not only benefiting from a surge in sales across the United States, but also from fast growing demand for their products in emerging countries, such as China and India. Ford Motor Company (NYSE: F) is the only major American automobile manufacturer that did not need government assistance to get through the 2008 /2009 financial crisis. The company has earned a loyal following among Americans and is experiencing rapidly growing sales overseas. General Motors (NYSE: GM) has reinvented itself since the 2008 /2009 financial crisis and the large government bailout that it received. With a much leaner cost-structure and growing sales both within the United States and abroad, General Motors appears to be on track to have some great years ahead. Fiat Chrysler Automobiles (NYSE: FCAU) is a combination of the former American automobile manufacturer Chrysler and Italian automobile manufacturer Fiat. The new company, which is based in England, is focused on taking the best technologies from both former companies and producing superior cars that the public demands. Toyota Motor Corporation (NYSE: TM) remains one of the leading automobile manufacturers in the world, and is well positioned to benefit from the strong rebound in automobile sales. With a Price to Earnings ratio (P/E ratio) of just over twelve, Toyota offers a compelling investment from a valuation perspective. Honda Motor Company (NYSE: HMC) is also positioned well to benefit from the strong rebound in automobile sales. Honda’s reputation for quality and durability continue to make Honda a leading automobile company throughout the world. Honda has an even more compelling Price to Earnings ratio (P/E ratio) under twelve, which makes it appealing to value investors. If you would rather spread the risk of investing in the automobile industry among numerous companies, consider an Exchange Traded Fund (ETF) known as Trust NASDAQ Global Auto Index (NYSE: CARZ). CARZ maintains holdings in many of the large automobile manufacturing companies located throughout in the world, including the ones listed above. If the automobile sector does well in coming years, so will the CARZ Exchange Traded Fund. While the dynamics that are driving the revenue and earnings gains for automobile parts companies are different than automobile companies, the result is the same. Demand for automobile parts is growing as the economy recovers and drivers try to keep their aging automobiles running. Consider the following automobile parts stocks. 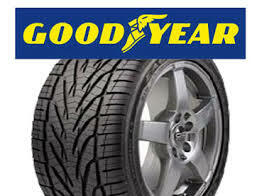 Goodyear Tire & Rubber Company (NASDAQ: GT) is an iconic name in the automobile tire industry. After having some tough years dealing with foreign competition, Goodyear has reinvented itself as a manufacturer of high-end tires, which has greatly enhanced its top and bottom lines. Cooper Tire & Rubber Co. (NYSE: CTB) is another well-known company in the automobile tire industry. The surge in new car sales and demand for tires for aging cars should boost the company’s sale of tires for all kinds of automobiles. TRW Automotive Holdings Corp. (NYSE: TRW) is a diversified supplier of automobile components and systems to automobile companies throughout the world. The company also sells components and systems in the aftermarket to those that need parts to repair cars. 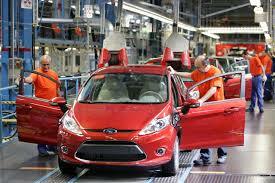 Demand for their products should remain high, as long as new car sales and car repairs continue at their brisk pace. With the ongoing assault on corporate and government computer networks and databases by hackers, cybersecurity stocks have a bright future that all investors should be aware of. 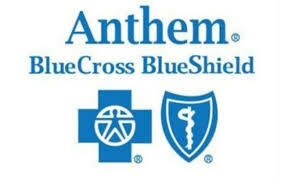 The issue of cybersecurity came to the forefront once again with the announcement by healthcare insurer Anthem, Inc. (NYSE: ANTM) that hackers had compromised its computer security and had stolen both current and former customer’s personal data, including names, street addresses, email addresses, birthdays, social security numbers, as well as employment information. Each cybersecurity attack raises the public’s awareness of this growing security problem and forces companies and government to commit more money to cybersecurity, which will bolster growth in revenue and earnings for cybersecurity stocks for years to come. President Barack Obama’s proposed 2016 budget requested $14 billion for cybersecurity to further protection for United States government computer networks and databases works against hacking threats. The budget seeks an increase of about $1.5 billion from this year’s $12.5 billion devoted to cybersecurity spending. This is especially critical now that it has come to light that some cybersecurity are coming from foreign governments. It is not too late to get on board the cybersecurity stock train and ride it cybersecurity stocks to new heights. Yes, cybersecurity stocks have already begun to rally, but given the large scope of the cybersecurity problem and the vast amount of financial resources that will be committed to enhancing cybersecurity in coming years, cybersecurity stocks have a bright future. In 2015, more than $95 billion is expected to be spent on cybersecurity by public and private organizations seeking to protect their computer networks and data from hackers. Market research firm MarketsandMarkets estimates by 2019 cybersecurity spending will increase to more than $155 billion, which is approximately 63% more thane will be spent during 2015. It is clear that there is still time to get long cybersecurity stocks and keep them in an investment portfolio to take advantage of the great amount of growth that lies ahead. Cybersecurity stocks will likely become takeover targets as well, as large technology companies look to bolster their growth rates through acquisitions of fast growing technology companies. With each major cybersecurity breach, public concern over the security of personal data increases. Companies that are hit with break-ins of their computer networks and databases not only face public scorn, they also face tremendous costs associated with cleaning up the mess created by a cyber criminals. On top of all that, they also face lawsuits from weary consumers that seek restitution for their losses and for increased security to address the ongoing cybersecurity problem. The reality is that in the modern world, personal information is very valuable, and companies and governments are going to spend tens of billions of dollars in coming years to upgrade their computer networks and databases and install additional security measures to thwart future cybersecurity attacks. Keeping computer networks and databases secure is also very important for the economy, since so much economic activity these days is done on computers. These two factors are going to drive spending on cybersecurity in coming years, and cybersecurity stocks are going to benefit greatly. In fact, cybersecurity concerns are reaching the threshold where legislative and corporate boardroom actions may cause an explosion in spending on cybersecurity. This means good times are ahead for cybersecurity stocks. This will go beyond just issuing smart credit cards, as credit cards are just a small part of cybersecurity. The reality is that personal data on computer networks and databases is more valuable to cyber criminals than credit cards, which is going to drive a lot of revenue to companies that provide security solutions for computer networks and databases that hold personal data. It should also increase revenues for computer hardware and software makers, as a new round of hardware and software upgrades is likely to coincide with security upgrades. Consumers, business, and governments are likely to ramp up their spending on computer hardware and software, as well as cybersecurity protections, in coming years. The following are some of the publicly traded cybersecurity stocks that can be purchased to invest in the cybersecurity sector of the stock market. CACI International Inc. (NYSE: CACI) provides cyber security services that protect private and public computer networks from cyber security threats. Infoblox Inc. (NYSE: BLOX) develops, markets, and sells automated network control solutions worldwide. The company offers a product called Advanced DNS Protection that protects a computer network from cyber-attacks by using threat intelligence. It also offers a Domain Name Server (DNS) firewall that helps organizations protect against malware and cyber-attacks. Falconstor Software Inc. (NASDAQ: FALC) provides data and storage protection for business applications. 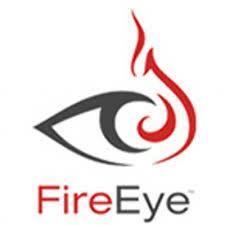 FireEye Inc. (NASDAQ: FEYE) sells network protection products that protect computer networks from malware and other network threats. Fortinet Inc. (NASDAQ: FTNT) offers a network security platform that acts as a firewall to protect cloud-computing platforms. KEYW Holding Corp. (NASDAQ: KEYW) is heavily involved in providing defense, intelligence and national security agencies within the United States government critical network security solutions that enable them to secure their networks from cybersecurity threats. 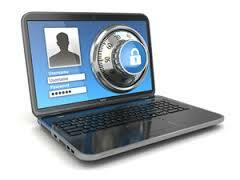 It also provides cybersecurity products for private enterprises. NQ Mobile Inc. (NYSE: NQ) sells security, privacy, and protection products for mobile devices, which is the fastest growing sector of the computer industry. Symantec Corp. (NASDAQ: SYMC) provides cybersecurity software for personal computers and corporate network computer systems. If you prefer to spread your investments among numerous stocks within a stock sector, to reduce investment risk, the cybersecurity stock sector now has its own Exchange Traded Fund (ETF), which is known as The PureFunds ISE Cyber Security ETF (NYSE: HACK). The fund started trading during the fall of 2014. HACK invests in thirty stocks that do business in cybersecurity. The stocks range from micro-cap to large-cap stocks. The companies can be both inside and outside of the United States; however, most of HACK’s holdings are United States based cybersecurity stocks.